Today's the official publication date of my first book, Seventy-nine Short Essays on Design. Here are some warnings up front. It is a 272-page book about design that contains no pictures. Each essay, as you may have heard, is published in a different typeface, and you may not find every typeface equally easy to read. And 68 of the pieces in the book were previously published on Design Observer, in one form or another, which means you can read most of them for free here. So, then, why a book? Good question. Here's another one: why write about design at all? I still remember the first time I tried. More than twenty years ago, I was asked to write something for Statements, the magazine of the late, great American Center for Design. It was a special issue on design education, and I was probably the youngest contributor. The others were educators, professors with advanced degrees, people who had published a lot of things. I was a relatively recent design school graduate staring at a blank piece of paper. And staring, and staring. Many tortured hours later, I finally had written something. I read it over. My favorite high school English teacher, Ms. Wagy, might have approved. It was grammatically impeccable, balanced, neutral. It was also self-important and boring. It sounded exactly like...well, Writing. What it didn't sound like was me. I decided to try something else. I wasn't an expert on design education, but God knows that had never stopped me from offering strong opinions about it in conversation. I decided to see what would happen to just write down the kind of thing I would say out loud. It was vivid, intemperate and unfair. What it wasn't was boring. This was the version I submitted to the ACD, and this was the version they printed. Later, I got two letters: a mildly angry three-page one from one of my favorite design teachers, Gordon Salchow, who felt the piece was superficial and simplistic, and a one-sentence note from a hero of mine I had never met, Ralph Caplan, who said he liked it. I was thrilled that two people had each read something I wrote and reacted so strongly to it that they had to write and mail me — yes, back then with a stamp and everything — a letter. That piece, "Why Designers Can't Think," is the second essay in the book. In my desperation I had discovered a trick I thought was my own invention. Later, reading books about how to write like On Writing Well by Bill Zinsser and Bird by Bird by Annie Lamott, I found out my discovery was the oldest, and most obvious, trick in the book: make sure you have something to say, and say it in as straightforward a way as possible. It's that first part that's difficult, of course. I wrote more over the years, and it's never gotten easier. I had really great editors: Steve Heller at AIGA Journal, Chee Pearlman at ID, Rick Poynor at Eye. But while I took great satisfaction in sending off a finished piece, three things always frustrated me: the agony of the looming deadline, the endless wait for publication, and the lack of evidence that anyone had actually read it. All three of these complaints evaporated when I was asked almost four years ago by Rick, Bill Drenttel and Jessica Helfand to join them here at Design Observer. Smart people can disagree about whether blogs are equal to print as a medium for design writing. All I know is — over 100 posts later — this format, with its ready accommodation of impulse, feedback and gratification, works for me. When I was younger, there was always plenty of time to think about design, to talk about design, to actually do design. With experience comes facileness, and the thinking, talking and doing come and go in a blur. I've found that writing is a way to slow things down again, to question my own premises, to force myself to pay attention to things I might otherwise file away after the quick glance. Often, when I finish a piece and publish it on this site, I'm afraid that it's too personal. Every response I get surprises me as much as those two letters I got for my first little piece so long ago. So why a book? No matter how much I write, I'm still a working designer. Designers make things. Sometimes the ingredients are colors and shapes and typefaces; sometimes the ingredients are ideas and words. And every designer knows that the final form matters. I discovered that putting the words on paper changes the claim those words make on your attention. Is it better? Is it worse? The answer may be different for every reader. As a designer, I am very grateful I've been given the opportunity to let you see for yourself. Thanks for all the essays and the good work you do. "With experience comes facileness, and the thinking, talking and doing come and go in a blur." you're so right about this. i'm still very new to the industry, but having worked professionally now for a year and a half already gave my that same insight. No wonder i start looking at doing design courses again. Though i think my way of creating meaning and 'slowing down' is currently drawing. anyway... thanks very much for your writing. i enjoy reading it. i am so glad that you have finally decided to write this book. i had the pleasure of working with you a couple of years ago and was always impressed by the way you reduced things down to simple questions that anyone (even clients) could understand. this need for clarity is reflected in your writing and i am looking forward to reading your book. Sounds interesing- I do believe I'll pick it up. Why a book? Because turning the pages of a book is so much more immersive and enjoyable than scrolling down a website or PDF. Is it printed on Recycled paper??? I have nothing to do with design but to answer the question of "Why A Book?". You do not need electrons to read it! Books also show their use. It has been wonderful for me to go back to previously read books and see how I have enjoyed them by the amount of ware that has accumulated on them. I hope that will happen again with your book. I get all the "stream of consciousness technique" for writing...this may be the most informative idea in the post; particularly if absorbed by the overly abundant and pedantic post-modernists out there who so relish the opportunity to impress with language what they fail to do in their artistic or design expressions, coming up short in both regards. As for the book, or rather essentially a compilation of previous writings...seems tentative, certainly not what I looked forward to when told that Michael Beirut was about to publish his first book. In truth, I have so admired your Graphic Design, that I would have preferred at minimum a combination of a retrospective with writing. No surprise to anyone, but your writing pales next to your graphic efforts. Lest this become a bash, I find the greatest value of your writing not in the trite recounting of past anecdotes, nor in the attempts to teach relatively obvious truths pertaining to graphic arts (at least to those over 30), but rather in the observations of an extremely talented and trained eye; a kind of roving collector of valuable insights, trends, and cultural aberrations, particularly as they make easier to understand, the norm. This kind of reportage in the field of graphic arts is your writings' "bread and butter". Truly critical writing of other design fields is best left to those equally well trained and experienced in those subject fields. I only recently started reading Design Observer, and I enjoy my time here. The level of discourse is high and the comments tend to keep an informed and even keel. At the risk of throwing things off that even keel, I'd say the question of wether the book's paper is recycled misses an opportunity to point out that the book didn't have to be made from trees at all. It might not have been, but it sure looks like it was. "Imagine this as design assignment. Design something that produces oxygen, sequesters carbon, fixes nitrogen, distills water, accrues solar energy as fuel, makes complex sugar into food, creates microclimates, changes colors with the seasons, and self replicates. Why don't we knock that down and write on it?" Parag: "Recycled" doesn't always mean better for the earth. Every designer should read On Writing Well by William Zinsser. Although I'm not sure it is printed on recycled paper...? I'd like to know who told you the discussion was about "whether blogs are equal to print" (perhaps Rick Poynor? ), let alone whether there's "disagreement." Anyways, I'm not sure what this has to do with this book? Maybe it's a conversation to have with speak up. I am glad that Michael published this book... mostly because I can write notes in a book I can't do that with a blog. Don't get me wrong, I love reading blogs... but books will always be my first love. When I finish reading them, I don't get the bloodshot eyes. Longtooth, your teeth are so long. Give the dude a break. He wrote a book. People care about what he says. I suspect they will buy it. he is a graaphic designer and writes from that point of view. he never claims to be a cultural critic and to bash him while trying not to bash him on that point seems ungenerous. I think a good blog ulitmately always deserves a book and now we have one. Longtooth: and his name is not Beirut. Wash up spelling before whining. If you find it trite, don't read it. If all the world should stick solely to what we 'trained' for and no more, man, then I want to get off here. Mr. Bierut: I love/hate your posts in equal measure- mainly because they're very good, and I wish I'd written them instead. Many thanks. I just had my first piece of design writing published this month so it's a pleasure to read about the first writings of one of my favourite design writers. Congratulations on the book, Michael. I'll definitely be picking it up. I pre-ordered mine from Amazon already. I'm excited to read it, and I'll give it a shout out on my site too. My apologies to Mr. Bierut for the having misspelled your name. I am increasingly intrigued with the vitriol expressed at anyone who dares to share a differing view than those expressed by bloggers. Clearly there is in certain bloggers' following, an admirable loyalty, if bordering on sycophancy. As a writer, MB is a fine Graphic Designer, and all the bullying with sarcasm and ageism to diminish that opinion isn't going to change it. This is not to say that his writing is without value for me; when combined with his graphic work, as occasionally happens during his discussions, it is sometimes invaluable and highly educational. This weblog, indeed all weblogs, has the potential for far more meaningful dialogue than the rhetoric which occupies 75% of the comments. I suspect that MB supports the right of commentators (albeit some of us could improve our deskside manner) to express our honest opinion. Michael Bierut injects his opinions into the ether as a distinguished and credentialed graphic designer knowing full well that he does so at the risk, indeed the certainty, of criticism (I've read enough of his writings to feel he does not consider himself a demigod), unless of course, this is a fan club. I find in the 'blogging generation' (if I may), a very real fear to challenge, and risk...to provoke, which is reflected in the quality of thought and the quality of work. Proof being that instead of engaging such differing opinions, instead of simply explaining why one thinks differently, it's easier to attack "the invader". It is possible, in my view preferable, to have an exchange, even if heated at times. I would suggest to those of you who prefer a mentality of "blind obedience", a revisitation of Fritz Lang's "Metropolis". I find in the 'blogging generation'...a very real fear to challenge... the quality of work. Until I have read the book, which according to the author was published yesterday, I will withold judgement. Congratulations, Mr Bierut. This is a book I've been waiting for for a long time  I'm not very comfortable with blogs, and I'm sur I'll have a hell of a time, lying on my old sofa, reading your prose printed on real paper at last. I already hope there will be a volume 2, with "Thirteen Ways of Looking at a Typeface" in it as well. For those of us who were "schooled" before the computer had wholly revolutionized design, and who went to schools which shared equal physical space with fine artists (and luxuriated in significantly less "emotional space" by comparison) I'd say the value of a book over its strictly digital counterpoint is self-evident. I for one have always had a hard time shaking off the bias of object-oriented valuation. Holding a thing in your hand always seems the very finest accomplishment as a creator, and the most satisfying as a consumer, though the content of the paragraphs within may be identical. Congratulations Michael. Will seek it out to hold in my hands. 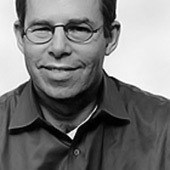 Sir Michael Bierut, I'm a big fan of your writing and your take on all things design - congrats on the book. I blogged about it a few weeks ago and excited about the release. As much as I love getting the latest to read online there's still nothing like a real book, period. So, how can one get a signed copy of your new book - will you be making the bookstore rounds? Especially I become identified with self-invention trick you mentioned. i think this is a interesting book, i'll buy. I LOVE the idea of blogs on the net - that have been written with intellect, careful observation by smart people in the field (any field) - transferred to a print version with PRINT typography. I think it's an innovative idea and opens up new approaches to writing and criticism. > inferior to books because of they lack editing. because of they lack editing? Congrats on the book. And congrats on the blogging too. of what do you mean of? Interesting observation. I did order this publication (yet to arrive). This format is indeed a publishers trend and not an admirable one. I collect books on loft and interior design and publishers in this category seem to believe that only 100 homes exist in the world worth photographing. The number of repeat shots used by multiple publishing houses is laughable. So it goes in our graphic design realm too? Hey Michael Beirut, you rock but get real. great book... great designer...salute to michael B. Good Morning Mike: When I first heard of your '79' I envisioned a recap of so many of the pieces I had read here at D.O. I opened my new copy and felt and viewed an item of quality in my hands. It looks damn good on my Noguchi Cyclone breakfast table. I blame you for keeping me up until 2am every night last week working my way from cover to cover. Really well conceived, and executed. I am going to purchase a number of new books mentioned within your tales. As a graphic designer I thank you much for some inspiring moments within your own path. Well done M.B. Hire ME! I've been wanting to learn more about typography and web design, and I heard about your new book from Subtraction.com. So I read a little on Amazon and the chapter "Why Designer's Can't Think" is what made me add it to the cart. unemployment- decided to try my luck as a graphic designer. designer and not a writer!